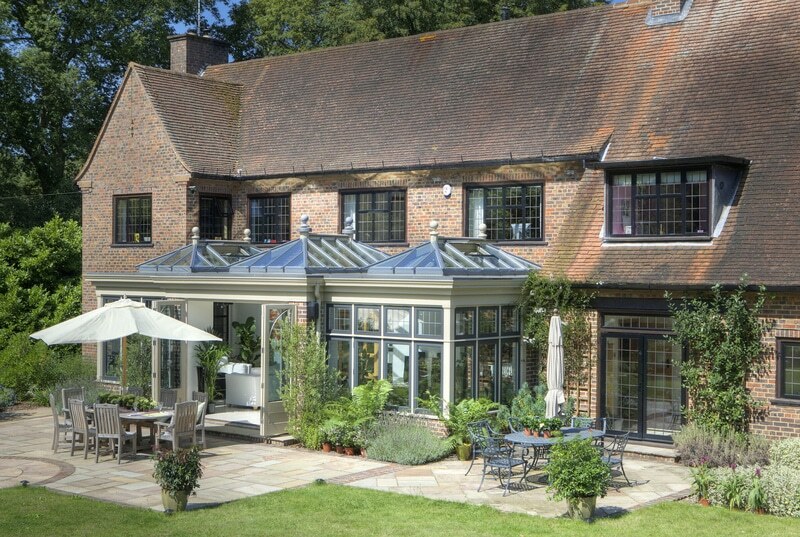 While they certainly do bring the wow factor to any property, roof lanterns also have a functional role to play. 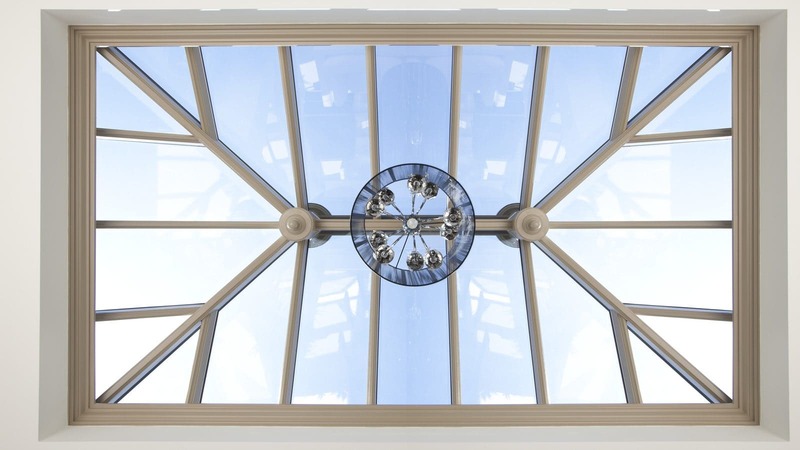 Usually built into a flat roof and designed with a perfect balance of symmetry and proportion, our roof lanterns can transform even the darkest of rooms into a glorious space drenched in sunlight. They can heighten ceilings and improve ventilation, while offering beautiful and expansive views of the sky above. 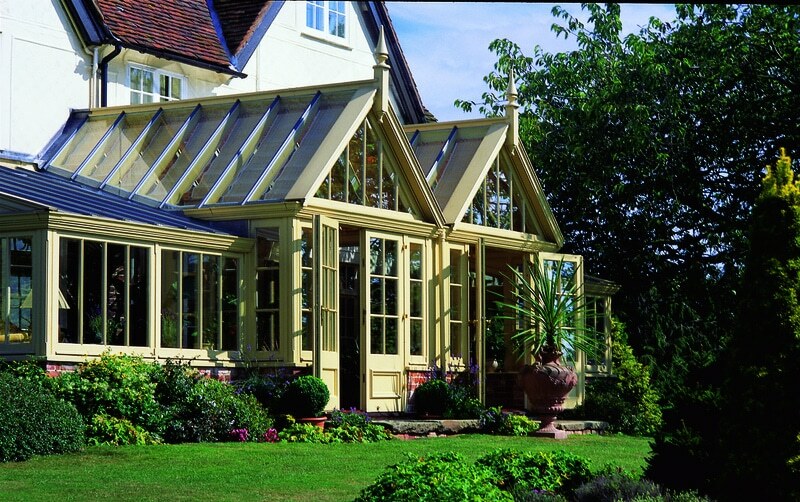 It’s important to give consideration to the type of roof lantern you want – as each one is unique. 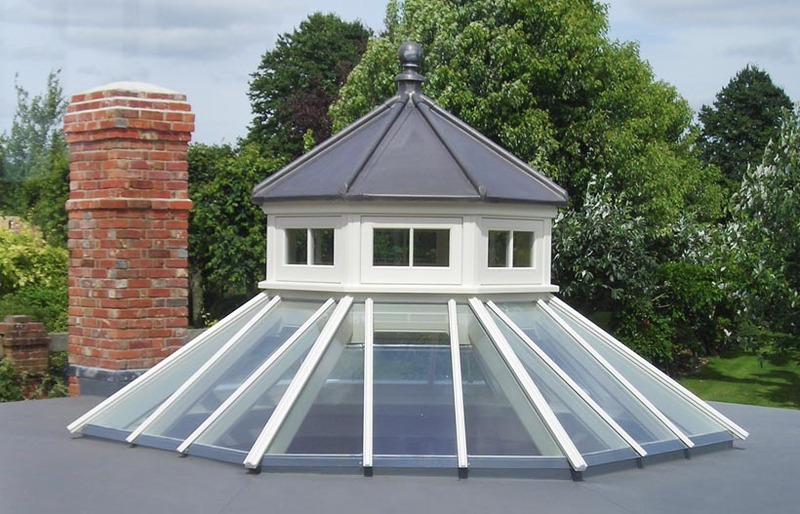 The shelf depth, beam dimension and hip shape will all have an impact on how your roof lantern will look, and we can make them to any size and pitch in order to meet your requirements. 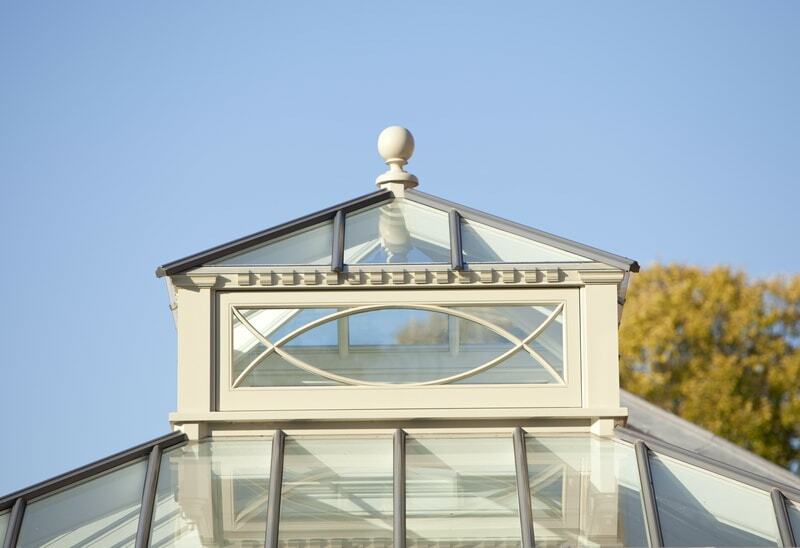 This is the classic and timeless shape for a roof lantern, echoing a sense of the long and rectangular Victorian conservatories and greenhouses that the modern orangery has evolved from. A rectangular roof lantern can run the whole length of your room, making a real impact and transforming it into a bright and spacious area. They can be perfect for fitting along the length of a whole open plan room, to create flow and help connect the different areas, or for defining pathways in larger spaces. Sitting central in the very middle of the ceiling, a square roof lantern has a neat, symmetrical and modern appearance. They’re a more unique option for homeowners who might be looking for something a little different to the usual rectangular shape. It’s obvious to say that they are best suited for smaller or square shaped ceilings, but they can also be handy for drawing natural light down into a singular zone of the room below, such as a seating area or a dining space. Hanging a pendant light from the central point of the lantern, perhaps over a kitchen island or a living area, can be a very effective trick. 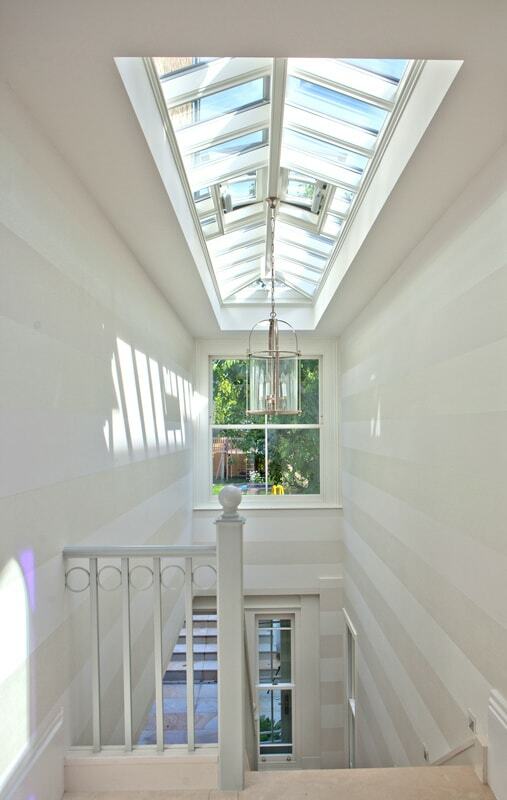 Square roof lanterns also work well fitted above stair cases, bathrooms or hallways. 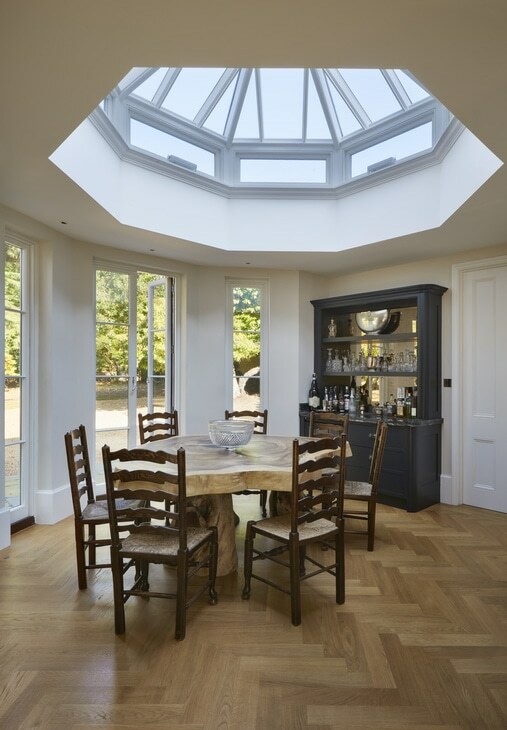 Smaller square roof lanterns can be ideal if you want them to subtly contribute to a room, rather than fitting a larger and more dominating rectangular one. Octagonal roof lanterns bring a sense of grandeur to your room, sometimes giving the impression of a dome structure from the inside. This is an ideal design if you want to create an impact while letting in plenty of light from all angles into a room. Octagonal roof lanterns are ideal for circular or polygonal rooms that are often found in period homes with towers or turrets. For larger estates, you might require a roof lantern with a more impressive structure in order to help it proportionally stand out. A two-tier octagonal roof lantern with a cupola positioned on top is the most opulent design of all, and commands attention while giving a lot of extra height inside. These roof lanterns can look particularly striking fitted in opulent and grant historical homes, but by keeping the lines and detailing simple you can still achieve a contemporary look. 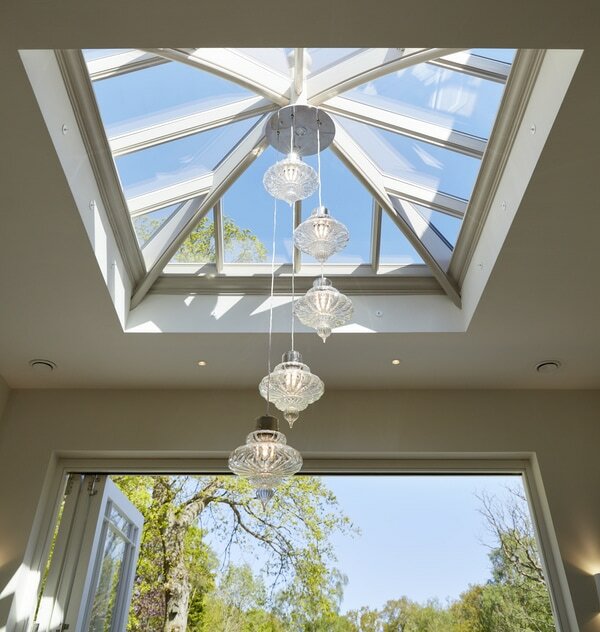 Including double and triple roof lanterns in a room requires delicate planning and thought by the designer – but the results are well worth it! A network of rafters running up and down along the length of the room brings detail and interest to your design. Here, three roof lanterns are used to separate and define individual spaces and their uses; a seating area, a central walkway, and a dining area. 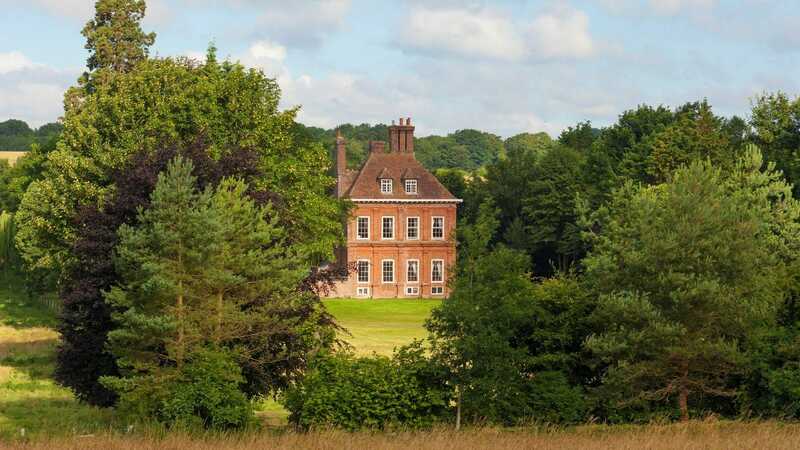 Occasionally, multiple roof lanterns can be a good solution when one whole roof lantern could obstruct a window on the first floor of the main house. While this is a smaller aspect of your roof lantern, we still think its really important to look at those finer details of your design! Our finials are made from resin, making them waterproof so they don’t crack. The most popular finial is the ball shape, but the spire will bring a more ornate feel to the roof lantern. If you’re looking for a more minimal option, opting out of the finial all together can create a sleek look. 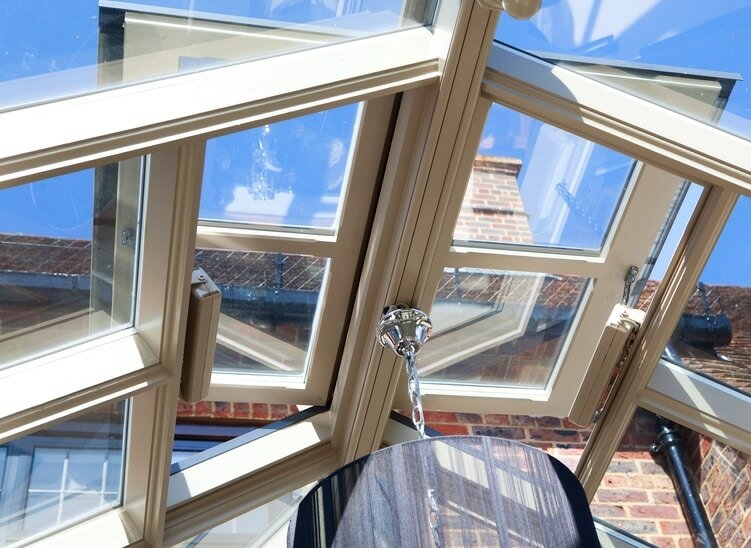 Ventilation in our roof lanterns is provided from top-hung sash, operated electronically with auto controls. Thermostatic double air vents maintain a comfortable temperature, opening when the room warms up to draw the hot air up and create air flow, and closing as it cools or when the first drops of rain are detected. 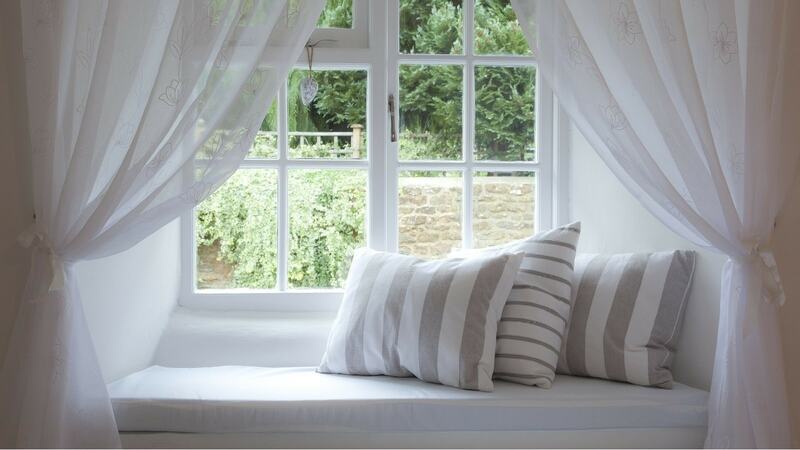 Consider how much ventilation you might need in your room, and how many vents you might need.